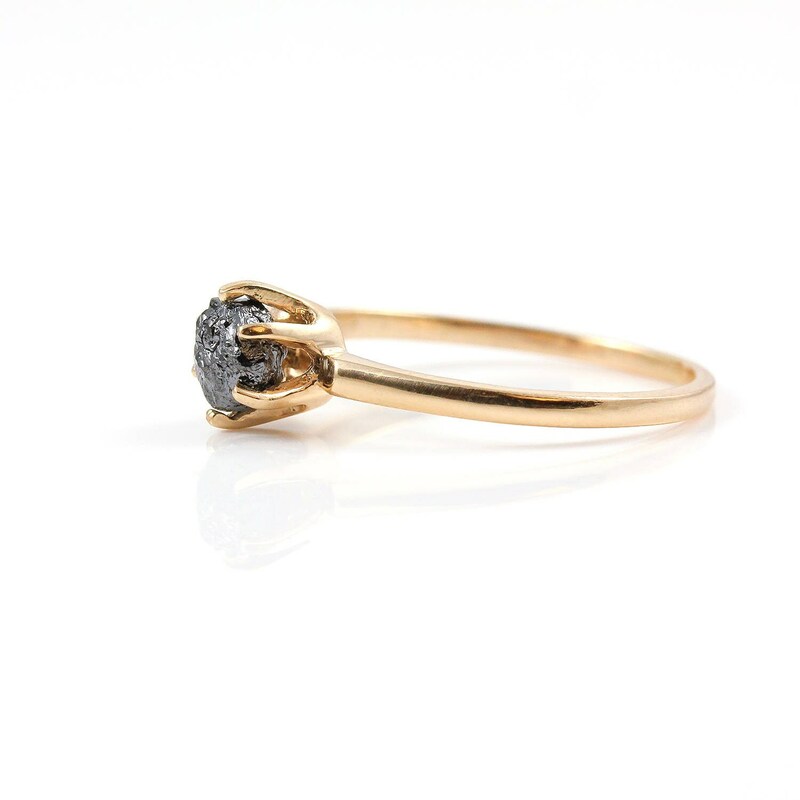 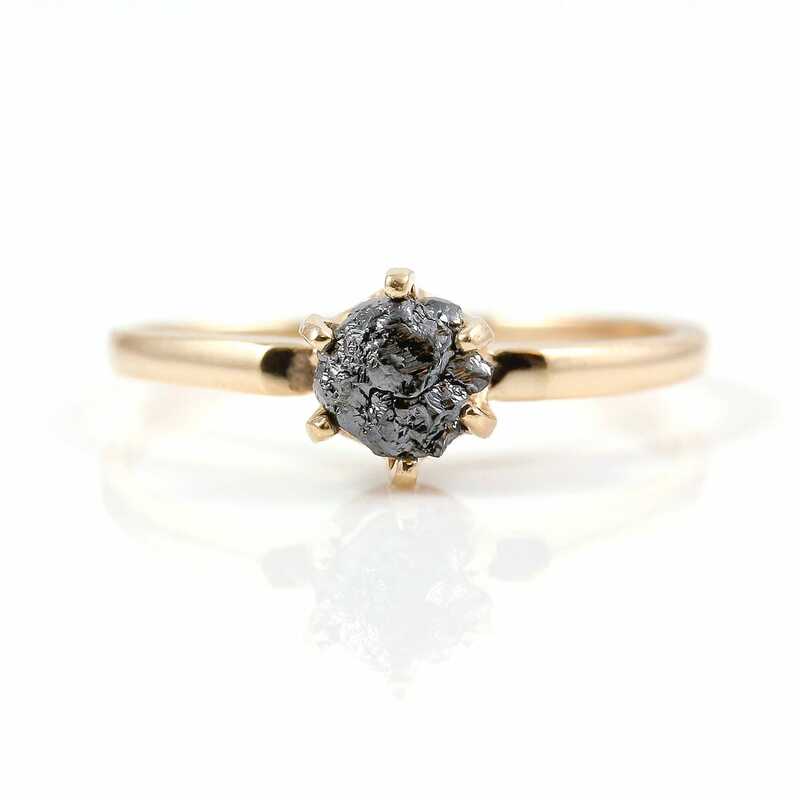 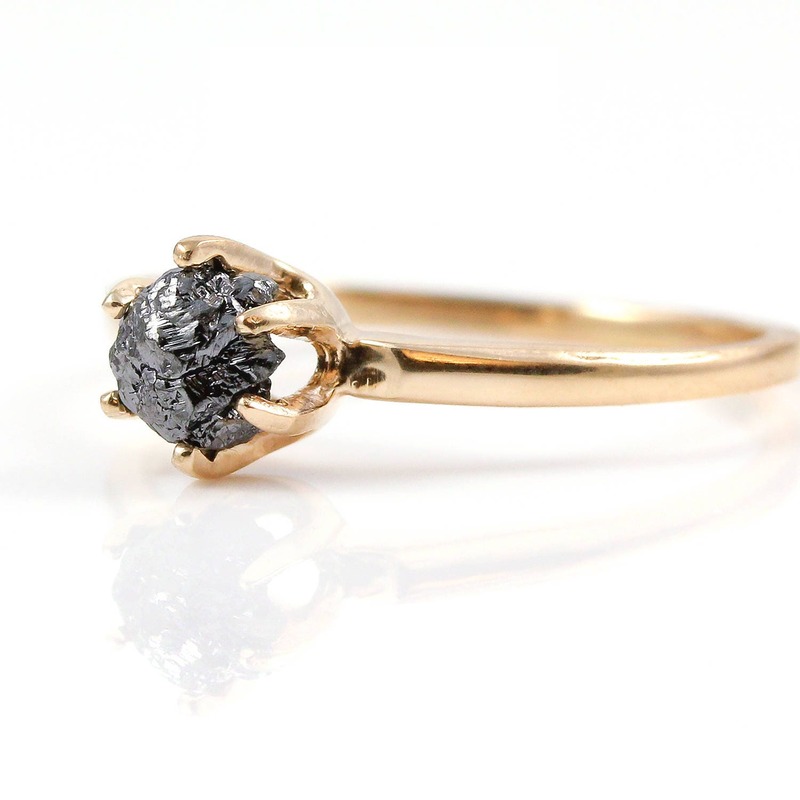 This 14K Rose Gold classic solitaire ring features jet black rough diamond in a quite large size, delicately set on 6 prong mounting. 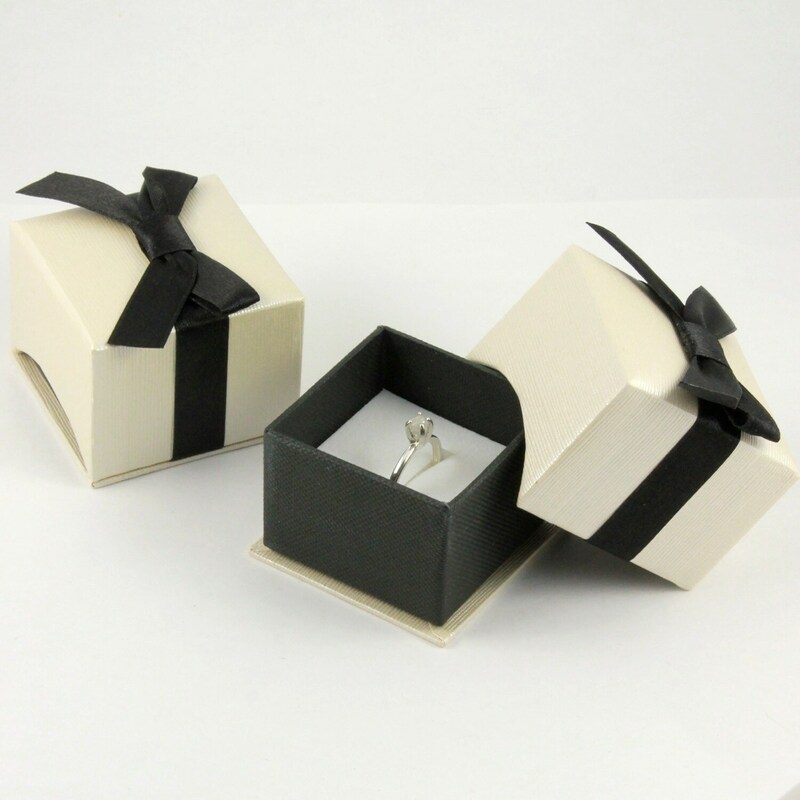 ★ Matching ring is also available. 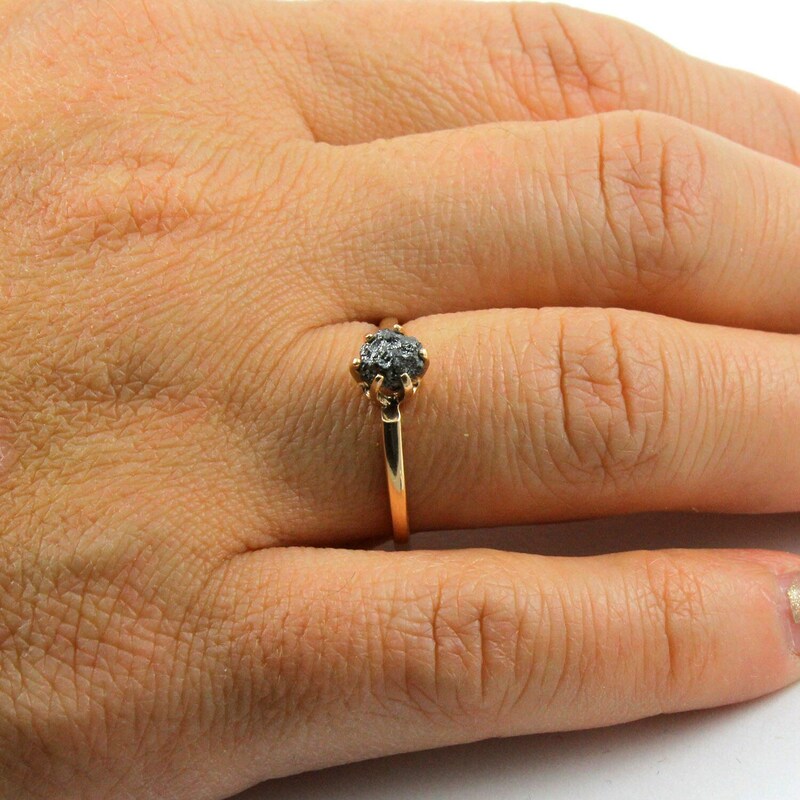 See referenced url below to browse the listing.